Do you want to start 2019 like a rockstar? 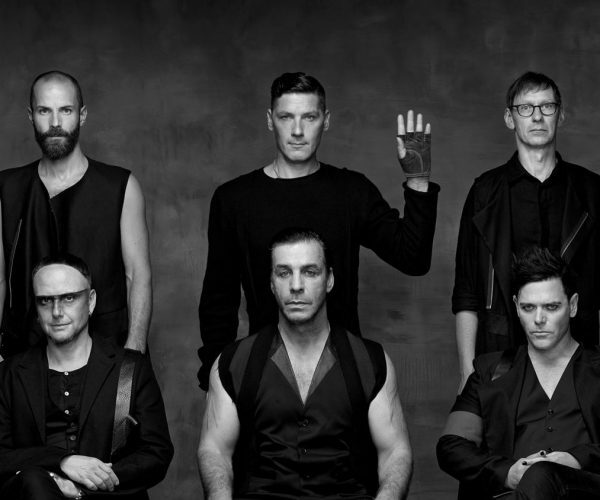 German heavy metal band Rammstein just announced they will close 2018 in Puerto Vallarta with two-night only exclusive shows, the first on December 31 and the second on January 2. Both concerts will be held in Explanada Flamingos, at the Hotel Zone. 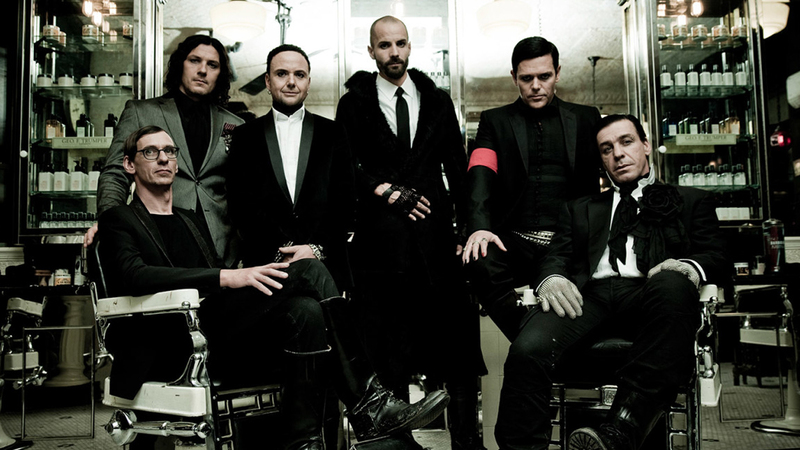 Rammstein is a German heavy metal and industrial rock band formed in 1994 in Berlin, that achieved worldwide recognition with hit songs like Du Hast. During their successful career they have released six studio albums and recently announced they’re in the studio recording their seventh studio album, the first since 2009, and it is likely the fans in Puerto Vallarta will be the first to enjoy the new songs live. These concerts are the only shows Rammstein will offer worldwide during 2018. Tickets for Rammstein’s concerts in Puerto Vallarta will be available on Stubhub as of June 27. VIP Tickets (per day), limited to 1,000 attendees, cost $395 USD. Benefits include an exclusive section for 1,000 people, a lounge bar with national and international cocktails, a comfortable zone in the beach area, a raised platform for a better view, charging area for cell phones, VIP bathrooms, as well as preferential entry and exclusive parking. Resorts Now Amber Puerto Vallarta and Secrets Vallarta Bay, located near the venue, are also offering special packages, including all-inclusive accommodation as well as tickets for both two shows. 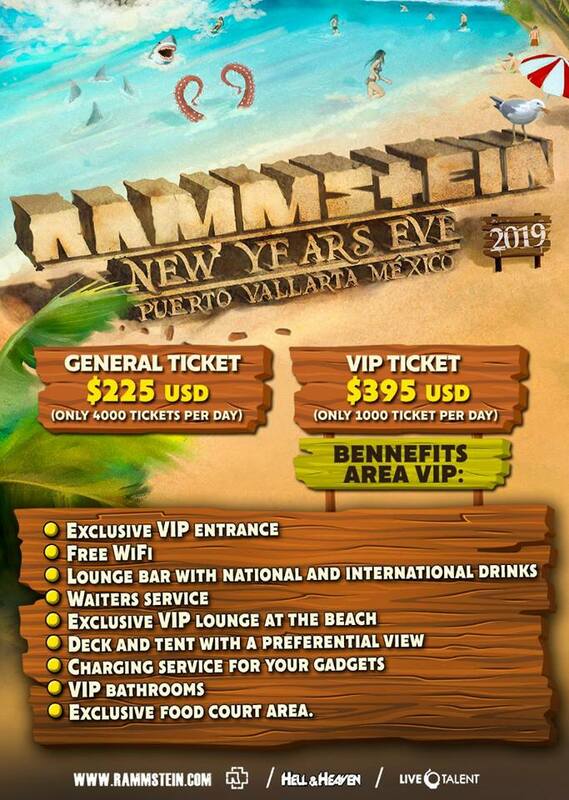 Don’t miss the unique opportunity to see an iconic band like Rammstein live in Puerto Vallarta, while you enjoy the always special occasion for saying hello to the new year in the beach.